1. 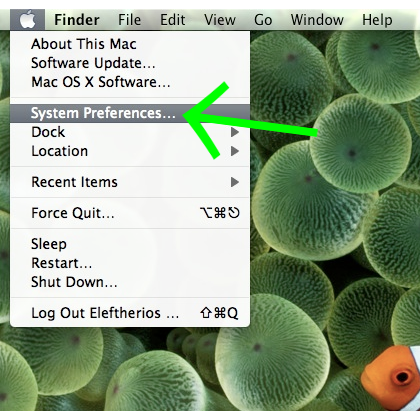 Open the System Preferences window. 2. 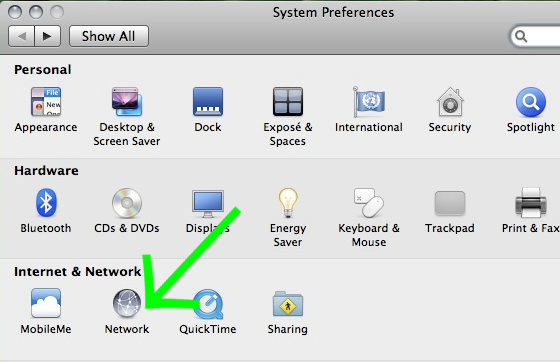 Click on the "Network" icon. 3. Unlock the network configuration. 4. Click on the Add button (+). 5. Set the "Interface" as VPN, VPN Type as PPTP and type Service Name: "VPN Worldwide". Then click on "Create". 6. 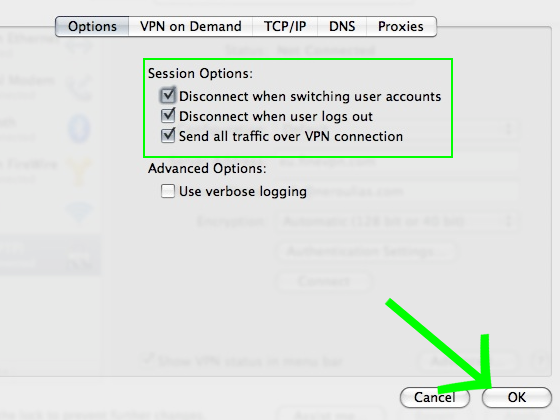 Configure your VPN according to the screenshot below. 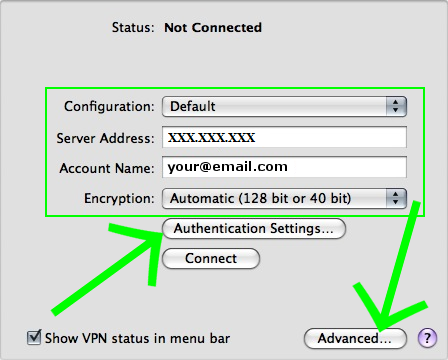 Enter the VPN server address we provided you, then enter your VPN Worldwide Account username. 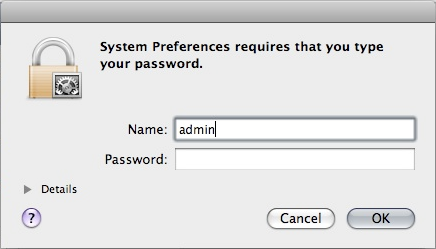 Then click on "Authentication Settings". 7. 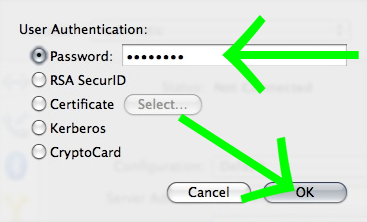 Choose Password option and type your VPN Worldwide Account Password. Then click on"OK" and click on "Advanced...”. 8. Check all the check boxes in "Session Options" and push the "OK" button. 9. 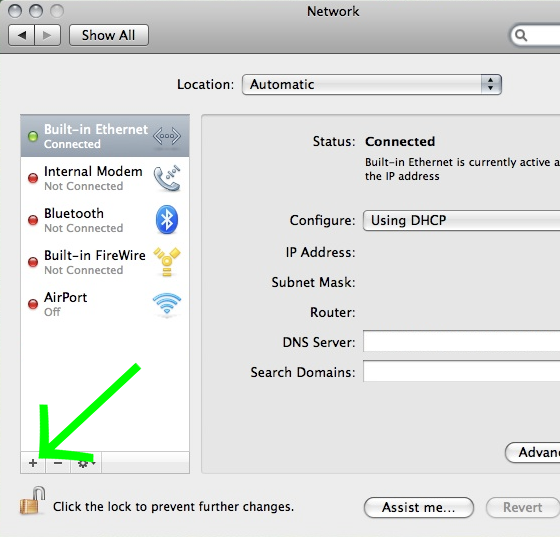 Close your Network Configuration window. 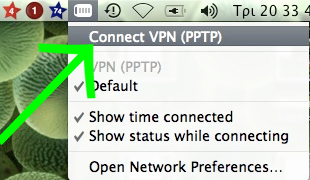 Right click on the VPN icon in the top system tray and choose "Connect VPN (PPTP)".